The memory of the media will keep this joyful scene at Le Bourget when the announcement of the agreement at the COP21 was made. Since then, objections, criticism and analysis of its shortcomings abound. They were inevitable and many are warranted. But the most important when it comes to the future of humanity could not be rational. The collective emotion, even fleeting, gave the world images of what has inspired us to come together. In this digital era, we will see these images again and again, so as no to forget that what unites us is ultimately more powerful then what divides us. To meet this challenge, a snap of fingers will not be sufficient. It will take decades of effort by activists, governments, scientists, associations, artists and others. But most of all, it will be for each new generation to discover the world in which it lives. This moment of unanimity gave existence to humanity, beyond nations, beliefs or interests. We felt for a few minutes how this little flame, nascent, fragile, still wavering, was for us and our children so infinitely precious. The emotion of this final between negotiators exhausted and radiant is already listed heritage. 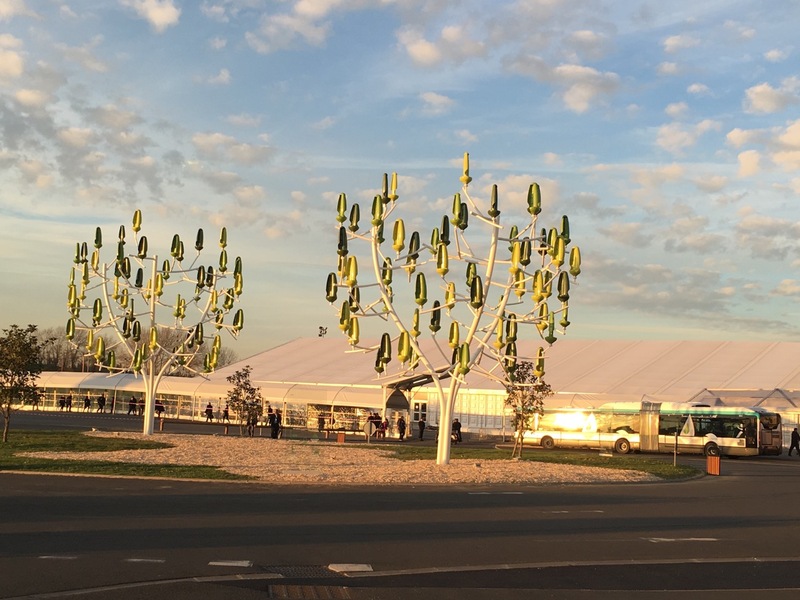 La mémoire des médias gardera cette scène de liesse au Bourget dès l’annonce de l’accord climatique à la COP21. Depuis les objections, critiques et analyses de ses insuffisances ne manquent pas. Elles étaient inévitables et beaucoup sont fondées. Mais le plus important quand il s’agit de l’avenir de l’humanité ne pouvait pas être que rationnel. L’émotion collective, même fugace a offert au monde, les images de ce qui nous rend tous solidaires. Grâce au numérique, nous les reverrons encore et encore, pour que personne ne puisse oublier que ce qui nous lie est plus impératif que ce qui nous divise. Pour transformer cet essai, il ne suffira pas, comme au rugby d’un coup de pied magique. Il faudra, des décennies durant, les efforts des militants, des gouvernants, des savants, des associations, des artistes. Mais, plus que tout de chaque nouvelle génération découvrant le monde dans lequel elle va devoir vivre. Ce moment d’unanimité a donné existence à l’humanité, au-delà des nations, des croyances, des intérêts. On a senti, pendant quelques minutes combien cette petite flamme naissante, fragile, encore vacillante, nous était pour nous et nos enfants si infiniment précieuse. 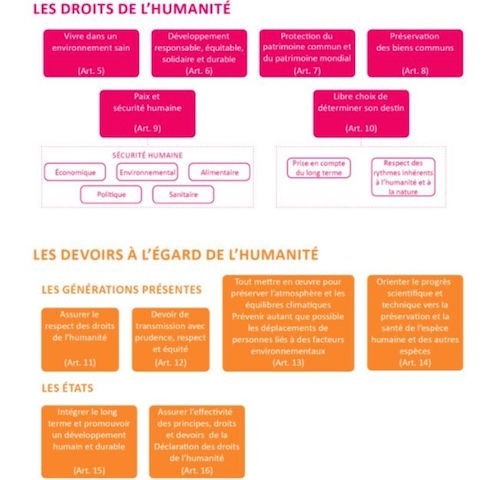 L’émotion de ce final entre négociateurs épuisés et rayonnants s’est déjà inscrite patrimoine de l’humanité. After over 20 years of climate talks, 195 countries reached a “universal, fair, dynamic and binding agreement” to “save the planet” by keeping global average temperature rise well below 2 degrees. The mood was euphoric and some delegates were in tears after the three sleepless nights that concluded ParisClimat2015. Having followed the preparations of this global forum, I was impressed by the efforts of the city of Paris, the French authorities and particularly by the personal engagement of the French President for an ambitious and historic outcome. I am proud that Canada, after a decade of obstruction and denial under the Harper administration, has come out in favor of a 1.5 degree objective under the leadership of newly-elected Justin Trudeau. 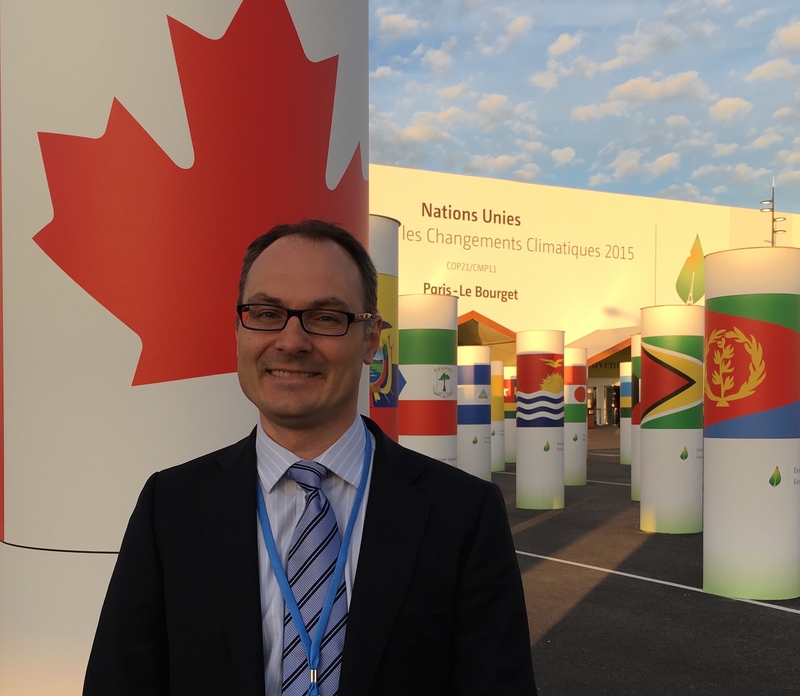 Staying “well below 2 degrees” is now the stated target of the world community and Canada is back as a constructive force on the world scene. This leadership will be needed to if we are to turn this lofty objective into something meaningful in terms of climate action. The 1.5 degree goal reflects calls of small island states, climate scientists and civil society but the new ambitions do not yet translate into commensurate actions that would even have a remote chance of meeting the original so-called “safe” target of 2 degrees, let alone 1.5 – which would require much faster reductions in green-house-gases and methods of taking back some of the carbon that has already been emitted. Scientists have been warning that there is a time lag between the moment when carbon is released and the resulting temperature increase. This means that on top of the 0.9 degrees of warming that we are already experiencing, there is an extra 0.6 degrees that is already pre-programmed for the future – Dr. Thomas Frölicher, researcher at the Swiss Federal Institute of Technology has produced some interesting work in this area. For these reasons, in time we will reach the 1.5 degree target and beyond as we continue to burn carbon. Commitments by member states for COP21 put us on the 3 degree or more path. Well above the 1.5 degree goal. It is therefore urgent to transform this new target into meaningful policy, to change business models and make sure that we all change our behaviors – something that is far from achieved and which implies much deeper emission cuts then was is currently planned. Delegates and politicians still think that climate change is a slow, gradual and linear process. This is not supported by science. In fact, the process is not-linear and there is now a real risk of hitting tipping points that could accelerate climate disruptions with catastrophic consequences. This is why the 2020 entry into force and the 5-year reviews that would start in 2025 are disappointing. All countries will have to participate in the carbon reductions but rich countries must help to finance this transition in the developing world by contributing a minimum of $100 billion per year starting in 2020 – a figure that will be revised upwards in 2025. The good news is that new powerhouses like China and South Korea will contribute to this effort. It is also encouraging that countries like India will adopt a low-carbon path for their development, something that was far from achieved just a few days ago. One message from the COP is that the good days of the fossil fuel era are behind us. Fossil fuel subsidies should be phased-out and we will move towards a price on carbon to speed up the transition to a clean energy economy. As Chinese President Xi Jinping said at the opening of COP21 on November 30th, this agreement is just the beginning of a process, echoing warnings from British Climate Ambassador, Sir David King, that carbon reduction targets must be reviewed regularly to accelerate the transition to a low-carbon future. From where we stand today and despite decades of work, it sure seems that we are still at ground zero. 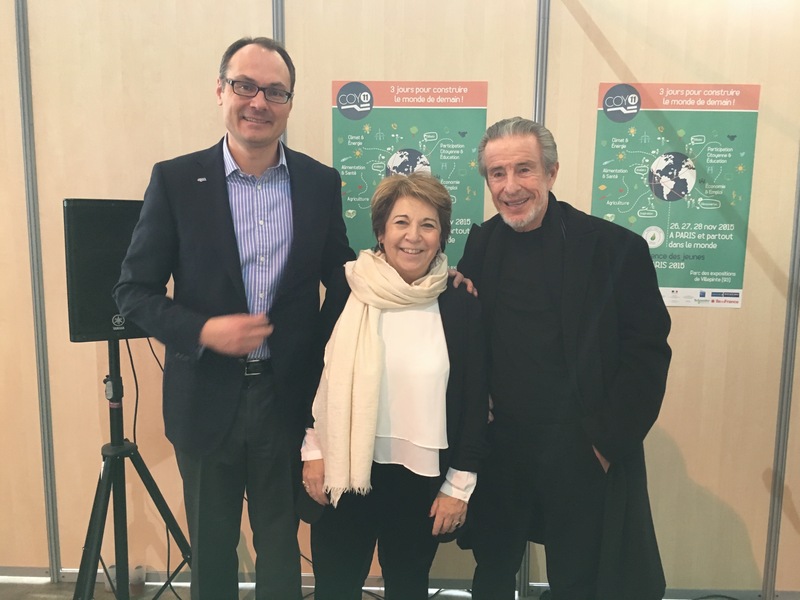 Chamonix-based glaciologist Luc Moreau kindly agreed to speak after the screening of Luc Hardy’s “In Pursuit of Endurance” at the Rochexpo Naturelia fair in La-Roche-sur-Foron near Geneva. Chamonix, home to la “Mer de Glace” (sea of ice), the largest glacier in France and the winter vacation destination of choice for nature lovers, is at the forefront of climate change – warming 2 to 3 times faster then the global average. When the stewardess on an airplane explains how to use the oxygen mask she first says you should put yours first and only then that of your child. YES, let’s be selfish and we can then also save our children, give them fresh air and a climate they can live in!! and also then save others… If we don’t do it for ourselves then our children are doomed anyway. That is the only way forward. Selfishness! We are so smart, all this science and knowledge and the only way we can find to save this environment that gives us life, air to breathe and water to drink is to be selfish. Only our selfishness can save us because that is the only thing we are really good at. We know how to do it, let’s be selfish now and let’s do it together…. and future generations will also benefit!! We cannot fix everything but we must show some direction, we must show that we care. Even if we sometimes make mistakes, we must change course, focus on what works and move forward. Just like in Aikido we do not try to counter evil, we deflect it and reverse this force to turn it into a positive. So let’s be selfish together!! We have caused a global problem and we must therefore unite our forces globally to fix it together. Create a political party with all parties involved! Without labels but with all the smart people, their experience, philosophers and humanists, economists and financiers and why not a few community organizers with the spirit to do well for everyone! Ernest Shackelton, if he were alive today, would give this leadership to steer humanity on the path to sustainability because he was a real leader – he was a real captain! So, Luc (Moreau), who are you to give advice? We are at our last crossroad, our last chance to change course. Let the spirit of Shackleton inspire our most selfish instincts to save ourselves …and our children too. 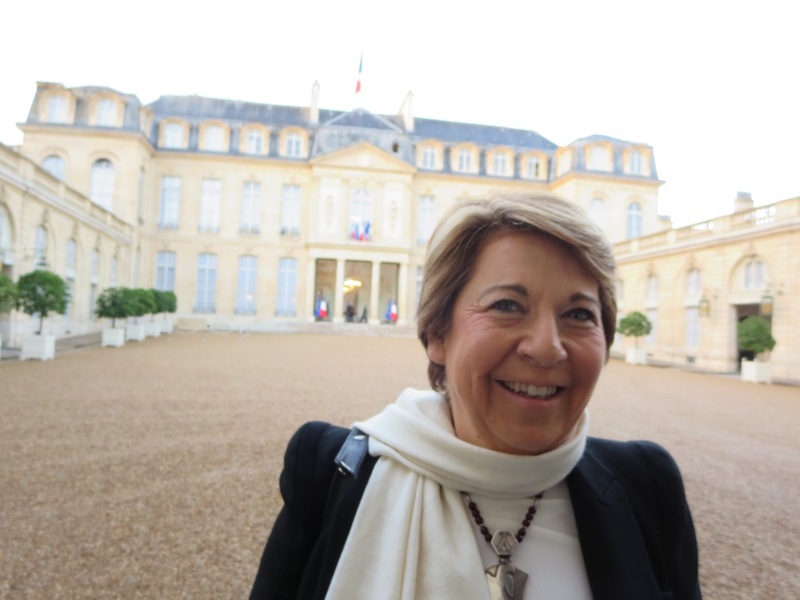 The report for a “Universal Declaration of the rights of humankind” was delivered last Friday by French ex-Minister of the Environment, Corinne Lepage and her team at the Elysée in Paris. 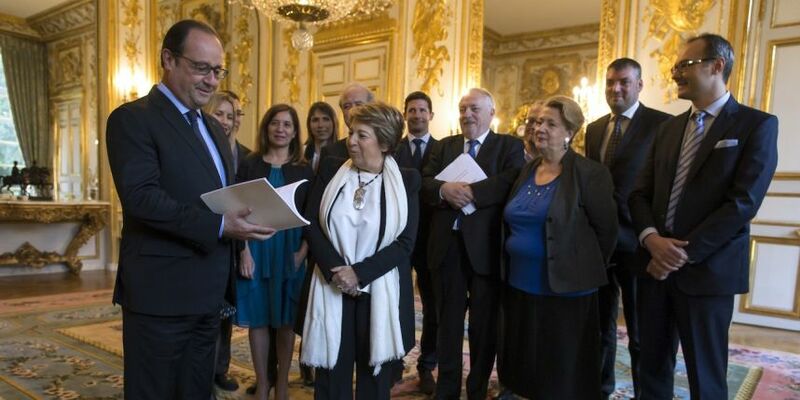 The project originated from a request by the President to build on the human rights declarations and “laying the rights humankind, that is to say, the right of all people on Earth to live in a world whose future is not compromised by the irresponsibility of the present generation”, Francois Hollande, October 2014. 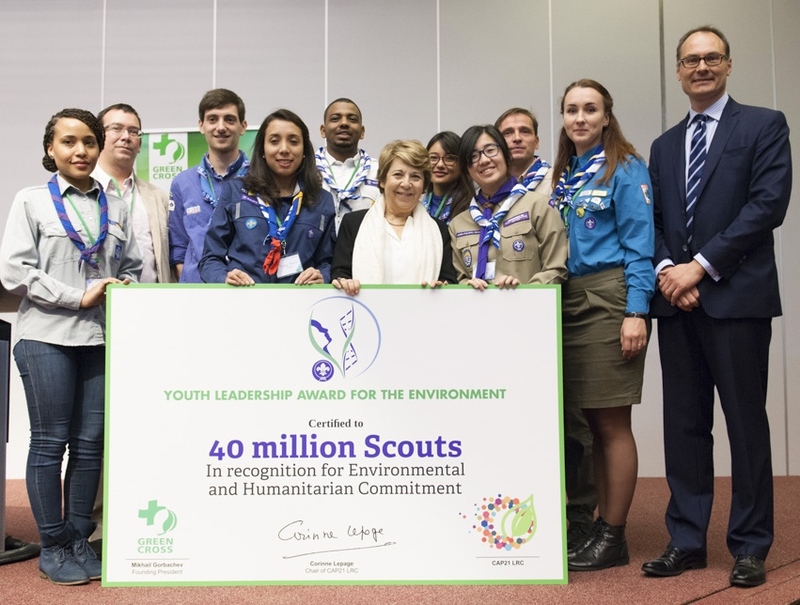 “How can we guarantee to future generations the right to live in dignity and in a clean and safe environment?” said Valérie Cabanes, international lawyer specializing in human rights. Adding that “the consequences of our consumption patterns and production choices have become a threat to peace and human security”. “Civil society from around the world must now mobilize and carry the message of the declaration so that it is widely shared and endorsed ahead of the December Climate Conference in Paris. This process is underway and the response so far is just amazing”, commented Corinne Lepage. The objective being the adoption of a statement on the Declaration by the United Nations General Assembly in 2016. Given that this is a statement and not a binding document, it should be easier for member states to accept. The team that prepared the declaration and joined Corinne Lepage to deliver the report includes: Ahmed Alami, Marie-Odile Bertella-Geoffroy, Valérie Cabanes, Francois Damerval, Hubert Delzangles, Emilie Gaillard, Christian Huglo, Adam Koniuszewski, Jean-Marc Laveille, Catherine Le Bris, Bettina Laville and Mathieu Wemere.